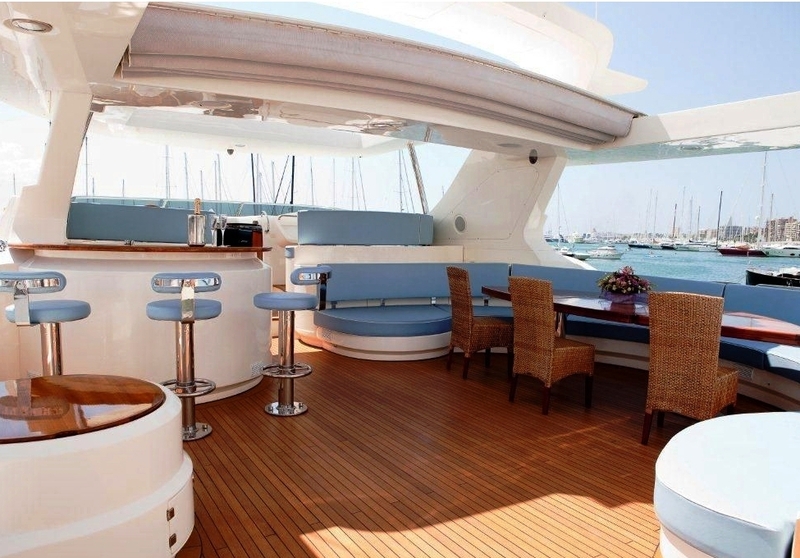 Charter yacht ITACA CLUB - Main. 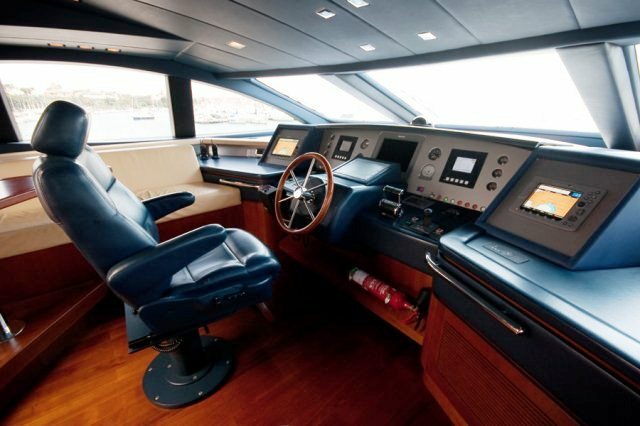 Motor yacht ITACA CLUB is an Azimut 116 charter yacht built by Azimut yachts in 2006. 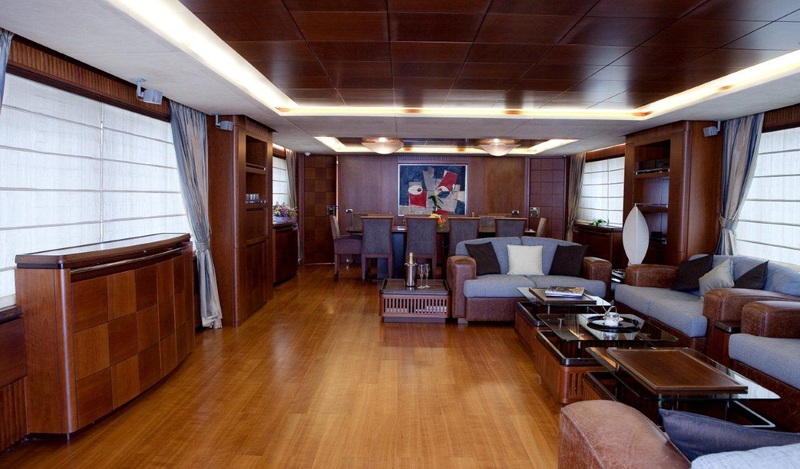 M/Y ITACA CLUB features a luxurious blend of cherry wood paneling and root wood, complemented with a range of handpicked marble and fabrics. 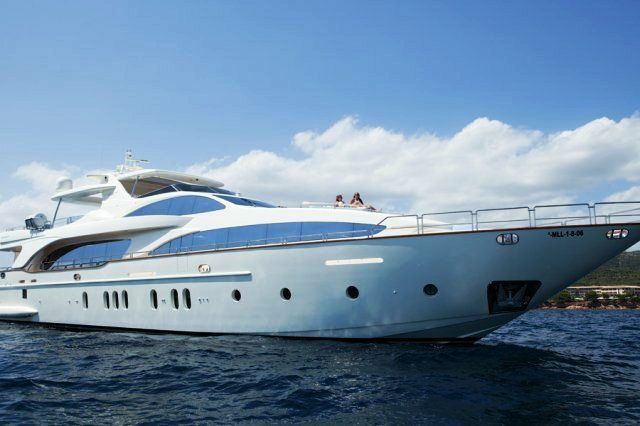 The ITACA CLUB motor yacht is available for luxury yacht charters in the Balearic Islands and Spain. 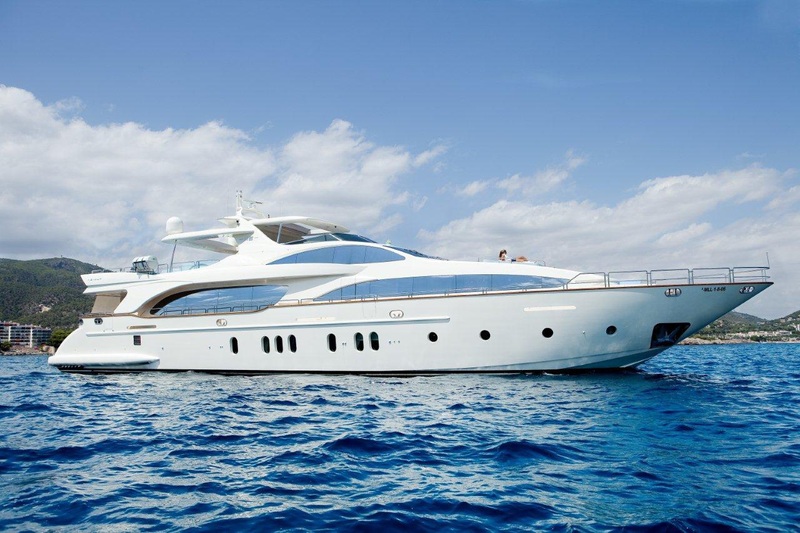 The yacht ITACA CLUB is an excellent example of a high volume flybridge motor yacht and is an Azimut 116, the flagship in the Azimut fly bridge range. 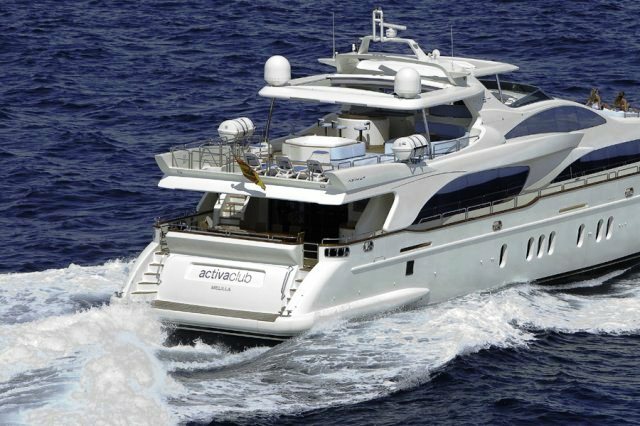 ITACA CLUB features a modern yet functional design bearing the hallmarks of her Benetti heritage, engineered to a high standard. 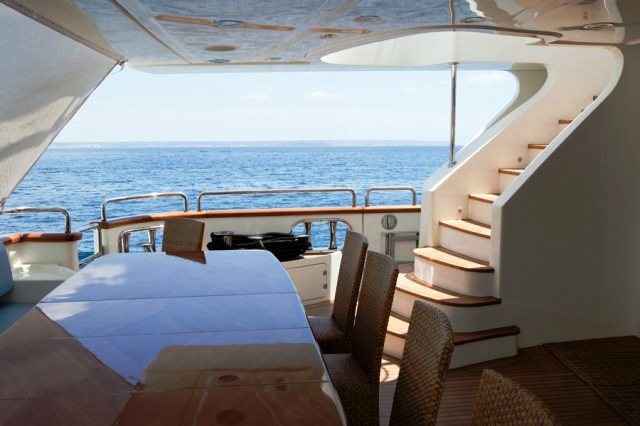 Charter yacht ITACA CLUB boasts well-appointed accommodation for up to 12 charter guests in 6 cabins including a full width master, two full width VIP & two twin cabins. 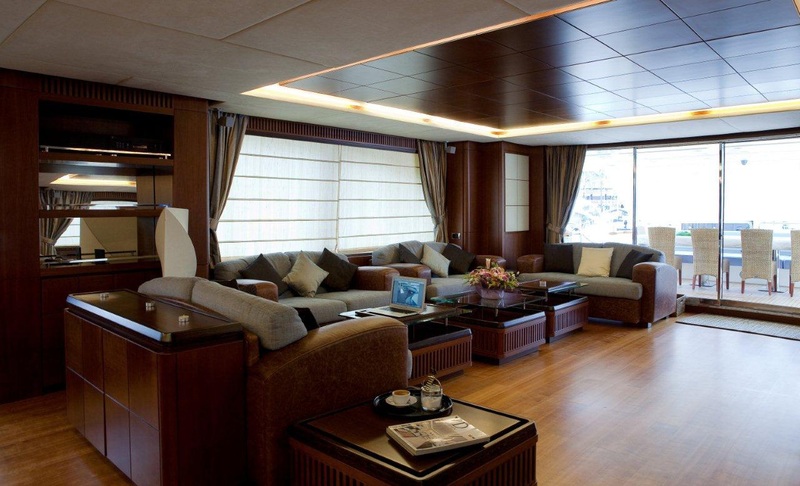 Her Media Room can convert to a second master cabin. 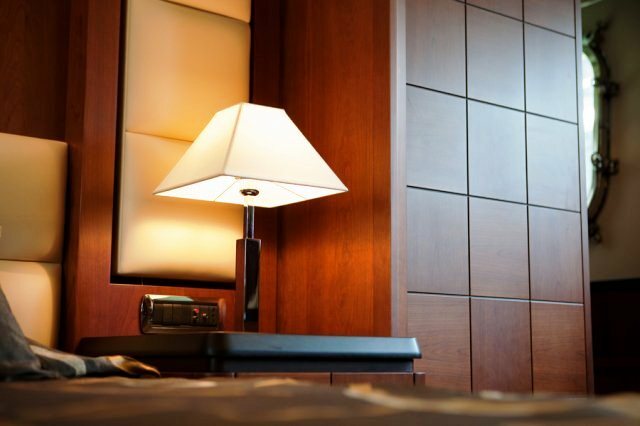 All cabins have a Plasma TV & DVD player. 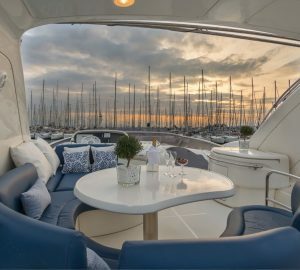 The ITACA CLUB yacht has a charming main salon with comfortable couches to starboard and an entertainment centre to port. Further forward and adjoining the salon is the formal dining area. 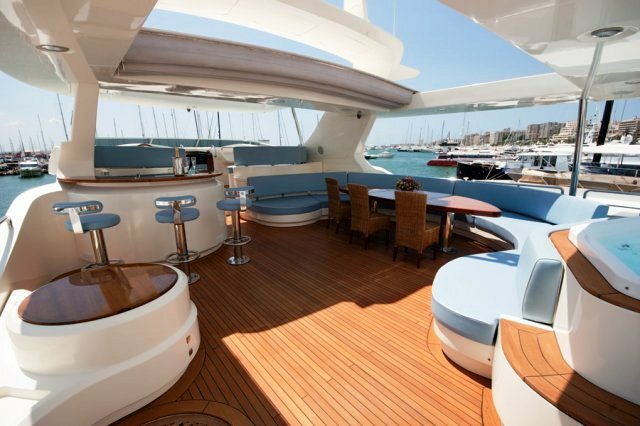 ITACA CLUB’s exterior decks are spacious and feature a great layout for socialising and relaxing. 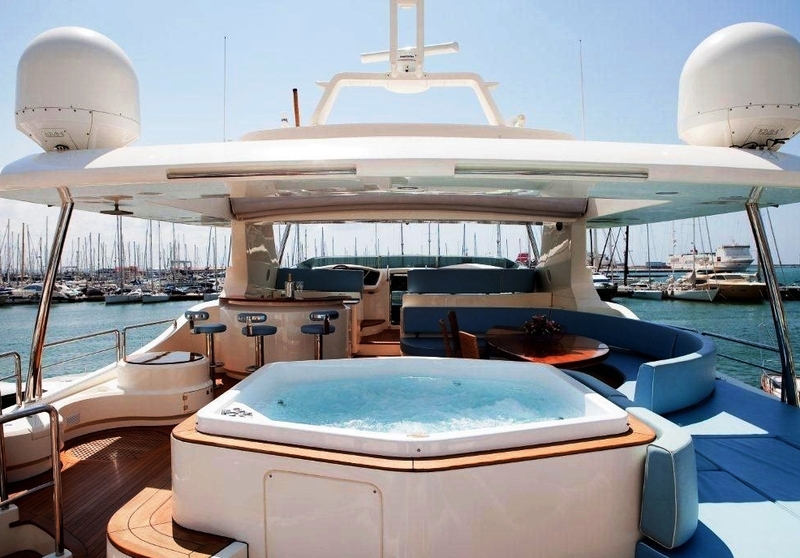 Her fly bridge features a large U shaped settee with table for dining al fresco and there is a bar and Spa Pool as well as sunbeds on the fly bridge deck. 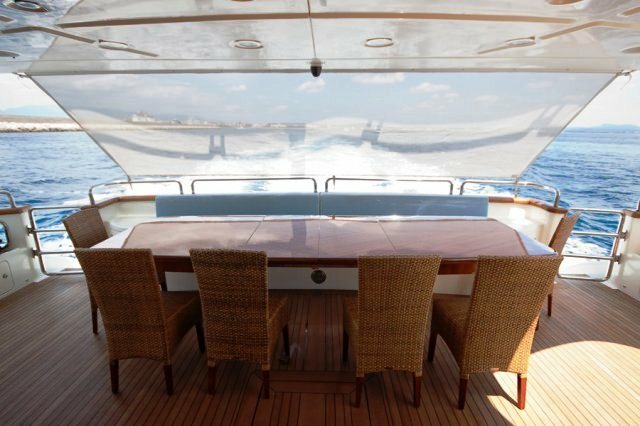 The aft deck also has an alfresco dining table covered by the hard top, with a retractable bimini at the aft. 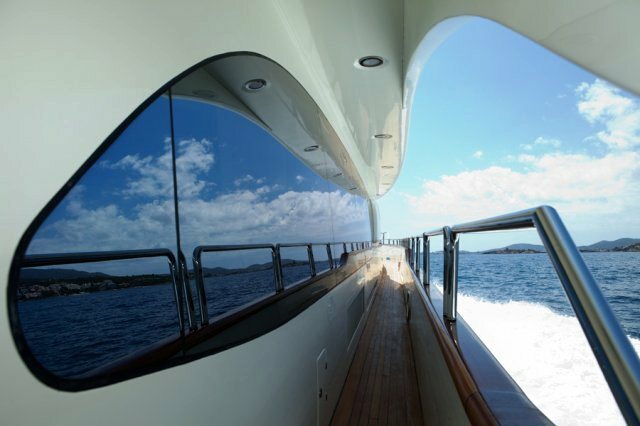 Twin stairs to port and starboard lead down to the swim platform where charter guests can enjoy the various water sport toys onboard including a jetski, water skis, wakeboard and donut. 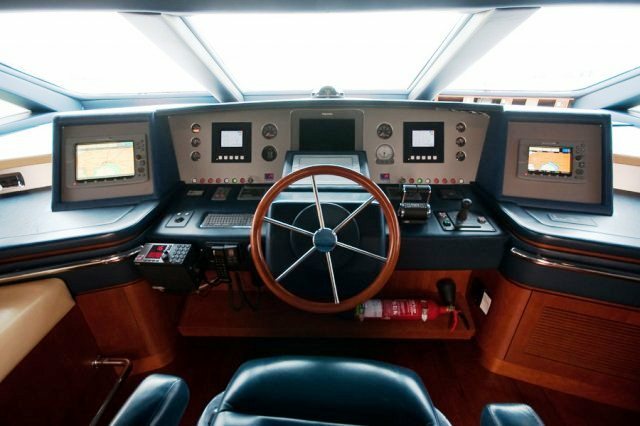 Yacht ITACA CLUB is also equipped with zero speed stabilizers making her comfortable at anchor. 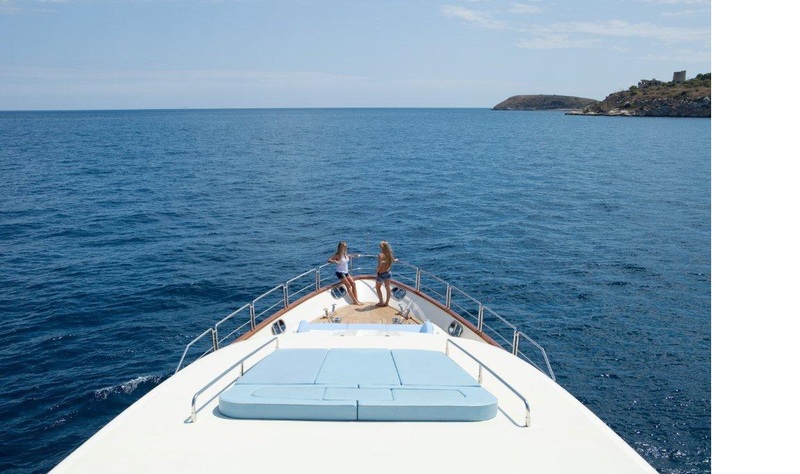 The ITACA CLUB yacht is able to accommodate up to 12 charter guests in 6 cabins. 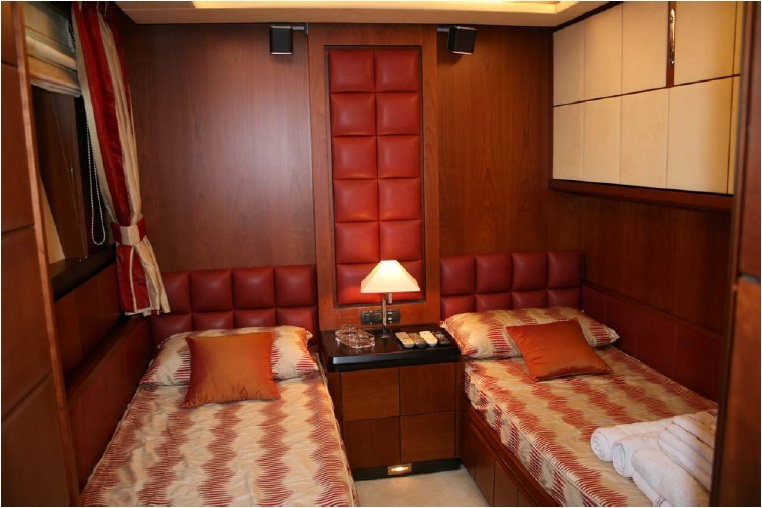 There is a full beam master cabin, two full width VIP cabins and two twin cabins. 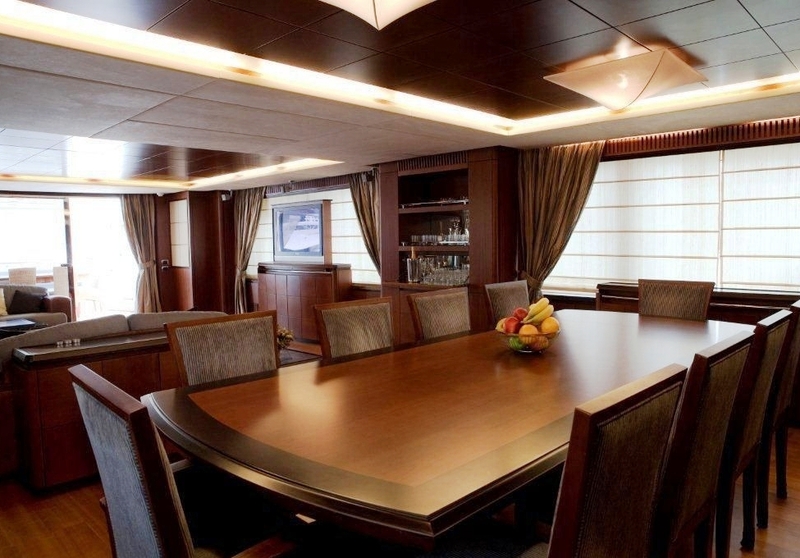 Her Media Room can convert to a second master cabin. 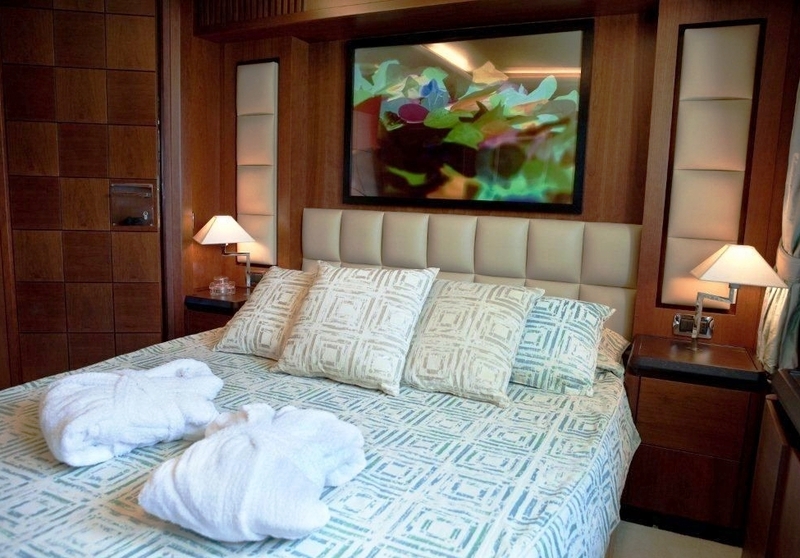 All cabins have a Plasma TV & DVD player. 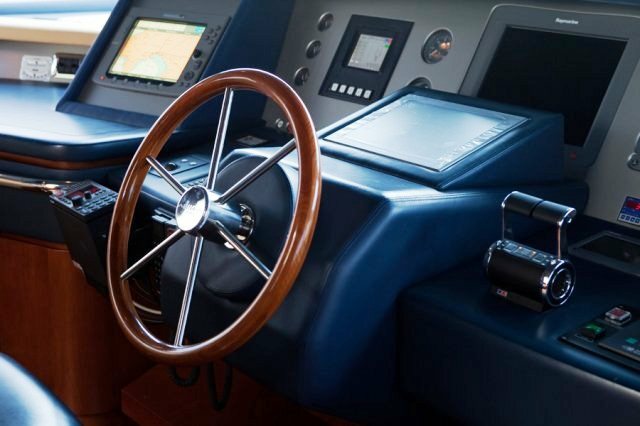 The Azimut 116 motor yacht ITACA CLUB has the following Tenders and toys and extras: Zero speed stabilizers, tender and toys (water motorbike, water ski, wakeboard and donut). 1 jetski for 3 pax. 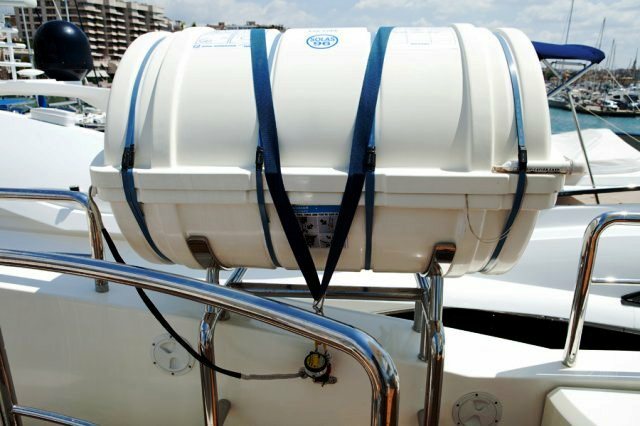 *7m tender will be towed, depending on marinas might need berth.